"Must have for Gmail users "
And as a Bonus - nice design. 1- CRM-BCC checker in Compose email. I want to sync Docsify with my CRM, but not all emails should appear there. I send around 200 emails per week and 90% of them I really need to track. It's helpful to know who exactly (not someone opened) interacted with emails and links I shared. "Powerful email tracker for Gmail"
There are many things. Most of all I like tracking feature for emails that I send to a group of people. Haven't found any other solutions that are doing tracking per-recipient. And what's I love the most is - PDF tracker. I am waiting for reminders, that are marked as "soon" on the website. Once I get that, Docsify will be perfect for me. Try Docsify's Free trial plan 14 days, and feel the power of it. And If you have any concerns or questions about what program will fit your needs, contact support. They are adorable people and try to find the best plan for you. With Docsify I can check who opened my messages but also who read my emails as well. It's great to feature to have an ability to control it. With Docsify I track that and contact my leads once they finish reading my e-mails. "The best tool for Gmail"
The #1 - I love Docsify's design in Gmail. Really, I've tested 10+ different Email Tracking tools like Yesware, MixMax, Mailtag, Mailtrack, Boomerang and Bananatag - but Docsify is far beyond them in providing statistics in Gmail. The #2 - Per-recipient tracking. I usually send emails to a fea ppl, (CEO and Director + Somone from Co-founders) and when I saw who exactly opened my email (not someone opened) I fell in love with Docsify. I'm a fan of productivity and I always need to save my time in business and in life. And you know, with Docsify's snippets I save 2-3 hours per week. This feature isn't for everyone, but those who uses are saving tons of time. I'm really looking forward Reminders. - If a recipient doesn't open my email during 3 days, Remind me. This is something I really need and hope their awesome team will implement it soon. If you're looking for email tracking, send later and templates in Gmail - check Docsify. Nothing really comes to mind at the moment but it would be nice if there was some built-in CRM and auto-responder. Docsify is reasonably new but offers a ton of value and once you get started on it you will find it hard to go back to regular emails. Being able to track emails lets me know how and who is interacting with my emails. This allows me to know who to follow up with and in which way. I also love the saved templates as they save me a ton of time and help me to send quality replies in a matter of seconds. "Great for the less technical guys and even better for Marketers"
Works Flawlessly, I love the individual per recipient tracking and the sequencing. Makes my email prioritisation process much easier. Would certainly recommend this if you don't want to waste time with followups and be efficient at responding to your email. Probably a Native Mobile App would be great, but i think its in their roadmap. 1. Marketing, the followup sequences are great. Saves a lot of time. 3. Fits into the native gmail, would not have it any other way because its ready on the browser. "Simple and straightforward UI, a must-have for marketers and sales people"
This is a great extension especially when you're sending presentation to check their impact. I mostly use the email tracking tool but seeing when someone opens documents lets you set triggers and follow-up. Great for sales or any time of outreach. If you need to track your sent emails - Docsify is a great option, with a nice visualization! What's more? I love the design and the oportunity to track sent documents. I don't send a lot, but when I send PDFs it's really important to know how clients read that. Used Boomerang for Gmail, but Docsify is better in terms of tracking. "GREAT app and improves daily "
The tracking feature is great. It tells me when someone opens the email, downloads a document or click on a link. I really like this app. I do not do many reviews or testimonials, but felt that these guys have put together a great piece of software that does what it says on the tin and more. The training could be improved. It covers the basics, but I had to contact the support to sort out integration, which could have been done if I had found the tutorial. However, their support is fast, friendly and gets the issues sorted. I cannot recommend this highly enough. Give it a go, I am sure you won't be disappointed. I learn more about this app every day and as I increase my templates and snippets it save me so much time. I used to use the gmail canned response, but this is so much better. Tracking this information helps me keep on top of clients easily. "I moved over from Mailtrack and I’m so glad I did." I love how Docsity just sits in the background of Gmail and is quietly working away monitoring my open and read rates. It's also really useful to know who is clicking the links in my emails as this shows me who is and who isn't engaged with my sales emails. I also love that this is all done in secret with the custom domain options. Experienced a few bugs but the developers soon fix them. Sign up for a free trial you won't be disappointed! The slight change is shown on the compose window where you'll now find two buttons, one that can turn off and on tracking for each individual thing you want to track - open, clicks, and attachments. You can alternatively, just turn off the entire tracking for the thread as there's a convenient do not track button. Next to tracking options, you'll find a send later function. The Send Later option dialog comes with both presets as well as setting a custom time. Docsify does a good job in tracking e-mails and opens, and the notifications for both browser and e-mail work without issue. However, there's definitely room for improvement in what these notifications show. Primarily in e-mail notifications, there's no mention of subject line, only that the recipient has opened the e-mail. if you send multiple e-mails to a recipient throughout the day or the week, you won't know specifically which e-mail they opened in just the notification itself. This is where you have to login to the Dashboard to track and see in more detail what e-mails were opened. Anything that keeps users OUTSIDE of Gmail to track, to manage, and function is a bit on the negative side. However, I think the barebones dashboard of Docsify isnt too distracting. All there's to it is managing users, adding snippets and templates, and then of course, see in more detail which emails are being tracked and opened. - The Send Later dialog box can definitely use some better UX/UI. The presets are fine and welcomed, however the confusing custom time send later is a chore to use, and absolutely can see some improvement. The good news here is that the Docsify team is pretty responsive and both the CEO and CSO are active in replying to e-mails/feedback. - The Sent Mail button that is on the left side of Gmail menu should only show e-mails that were directly tracked by Docsify and not all sent mail. This sort of defeats the purpose of filtering what was tracked by Docsify and what was not. - Hate the fact that in order to cancel a scheduled mail, you have to login to the dashboard to cancel it. This is a huge time waster. They need to improve this cancel send directly in the drafts folder. The Docsify app does email tracking with document tracking pretty well. Nimble and concise, and I know they'll continue improving so long as they take user feedback seriously. I think there's a ton of opportunity for Docsify to improve which is a good thing, they can take a big portion of users who need to track opens and clicks, downloads of attachments, which a lot of free email trackers don't offer for free. 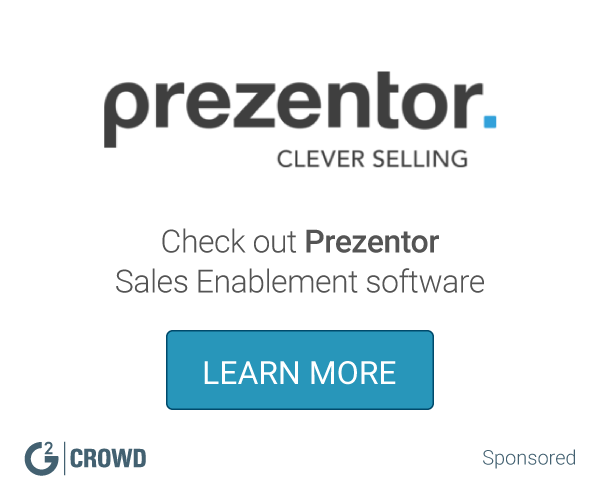 "This is the best email and document tracker for sales than any CRM!" If you're constantly wondering whether your emails have been opened already or your important links were clicked, this is the best add-on you can invest in. This runs actively in the background and keeps an eye on every emails you send from your inbox. Their support is always responsive and the product is constantly improving with new features. Kudos to Team Docsify for developing a great product for Sales & Marketing! Since this is a Chrome browser extension, there was an issue with enabling individual Docsify accounts for when you have multiple Google Mail accounts open in the same browser. This is now fixed and the update was released along with other improvements to the software. Great work, Team Docsify! Tracking sales emails and documents. "Docsify it's a great app to work with your gmail"
I like best the option to track emails and have more information about who is reading and what from an email. I like the option to send later and templates to help your work. I like that files are more easy to see on the body of the email. I don't like that it was not very easy to check tracking emails. It's a great app but still need some improvements with the chrome extension. Improve the app to track emails faster. It would be great if you have a button with SEND LATER (better than checking the day and then send). Personal recommendation. Tracking emails. Sending later emails. "Docsify is a gem of a mail tracker"
Very strong per recipient tracking. And the admin dashboard is neat and classy. The support team is strong too (which is very imp). The notification can be seen in two ways. One in the mail sent label and one by clicking on the browser extension icon (admin dashboard). The green color tick mark visuals looks awesome and you feel secure about your mail tracking process. I recommend it strongly. I wish Location tracking would be added in the feature for sure in the coming days. Highly recommended. Very good per recipient and classic UI. Digital marketing clients response plus cold outreach probable clients reaction tracking. "I am very pleased with Docisfy"
Ease of use, easy to access and understand the reporting, excellent customer support. I also like the notifications as well as the overall layout of everything. Gmail is buggy sometimes, but Docsify support is always quick to jump in and help as needed. I rarely have any problems at all with Docsify. I now know that my e-mails are being received and I can follow up as needed. I no longer have to winder if th emals were opended and viewed. This is the best mail tracking and controlling tool. I've tried other tools but Docsify is from far the best of them. Nothing. It's the best mail tracking tool. They're great data providers, now I know when, where and how my emails and documents were opened, clicked and viewed. I truly recommend Docsify to whoever wants to control all the important information about their emails. This is a complete all-in-one tool. I like that I can see who opened and read my email and how. Especially I enjoy the per-page view feature which helps me to understand how the recipient learned the document I sent. It's very cool to know how many seconds recipient was on the specific page and very useful for making future decisions. And want to note, Docsify has a really amazing UI. :I think it will be nice if the Docsify team provided Free plan for team users too. We have a team, and it's ok for us free features, but it'll much better to get team analytics (even not full). As an IT-company we use this tool for conversations with our clients and even between each other. The main benefits are time-saving and increase in productivity. "The Google Analytics for Emails"
The fact that you can track when they've clicked on a link and a document. Oh...and the snippets feature is really helpful. I'm hoping to use the template feature soon as well. No snooze feature yet, but I know it's coming! Be patient. The developers roll out new features based on requests. So if you feel something is missing, reach out to them. I absolutely love when clients say: "I didn't get your email." And I can say, yeah right, you not only got it, you opened it and downloaded the document!" Okay, I say this to myself, however... it does mean when I get the notification I can follow-up straight away while it's all still fresh in their mind. "Turbo charge your Gmail Productivity"
Zapier so that it's not just a closed eco-system. The 'Send Later' functionality is a Godsend and incredibly helpful. I use it _all the time_. Templates are a huge time saver and once you set it up, it gets extremely easy to speed up your workflow and outreach. A reminder feature that complements the "Send Later" functionality, similar to how Gmail does it, but with more granular control of how long and when would be huge. I would highly recommend it to people who would like to simplify and add squeeze more out of their email workflow. Tracking to understand where a user may be in their decision-making process is crucial to providing the right context for follow up conversations. This is an awesome tool to help you track emails and document opens. Its helpful to know when a document is opened. You can also schedule your emails to be sent which is great! I have not been using Docsify for very long but do not have any cons yet. "ESSENTIAL tool for every sales professional!" Since its inception the developers have worked tireless to iron out any bugs and add new features that add more value. I am excited to learn that drip email and website tracking are on the roadmap. My only criticism is that users cannot download their own attachments locally. Dev team inform me this is due to the fact this would comprise integrity of the data. However a minor issue compared to the immense benefit this product delivers to me. Take the trial, check it out and see its a good fit for your business. "Must have to track emails"
Nothing that comes to mind other than helping a user know when the best time to send an email is. Tracking when emails are opened. "It works! If you need a gmail tool that will track sent emails and documents, docsify is a option"
It tracks emails, documents, and clicks. It has email templates and text snippets very handy for day-to-day operations. Tracking emails send and see who opened them. "amazing tool and fantastic support!!" one of the best tools in the market for supercharging your gmail functions and make you into an unstoppable sales machine! great support too. they were quick to respond and address my questions within minutes. forget the other tools.. this is the real deal!! Docsify has helped me get my sales followups on track! Knowing when prospects have read my emails is an added bonus!! I'm able to follow-up on my sales. Scheduling and managing email tasks is a breeze. "I was not getting 3 grey bars in front of some old mails." Just Started using it and all ready in love with the amazing features,services and quick responses at help centre with chat option. It changes the appearance of attached pdf files than normal conventional attached pdf file.. I can make sure that mail Sent and Received safely in time. "Excellent email tracking, still hoping for deeper integration"
Excellent email tracking solution. Per-recipient tracking is better (and more accurate) than every other solution I've tried. Still looking forward to integration with fat email clients (like Spark, Kiwi, Mailplane, etc), but a great solution for browser-based email tracking all the same. this is a great addon for any business dev ! once you tried it, difficult to work without. "Great Service! Can't make my job without it." Tracking emails and discovering further statistics so important for me. This tool just do it the best for me! Nothing to dislike at the moment, I suppose. Docsify helps me to save lots of time and see a customer behavior. I don't need more. Our sales see can use Docsify very well. Not working with desktop email clients like the most popular client EmClient. We know when we need to send a follow-up email to our potential clients. Good software for keeping track of documents. User interface takes a while to get used too. Sharing and coordinating with others. I like how it help us every day. at the moment all the features that I used are good . * We monitor all Docsify reviews to prevent fraudulent reviews and keep review quality high. We do not post reviews by company employees or direct competitors. Validated reviews require the user to submit a screenshot of the product containing their user ID, in order to verify a user is an actual user of the product. Hi there! Are you looking to implement a solution like Docsify?